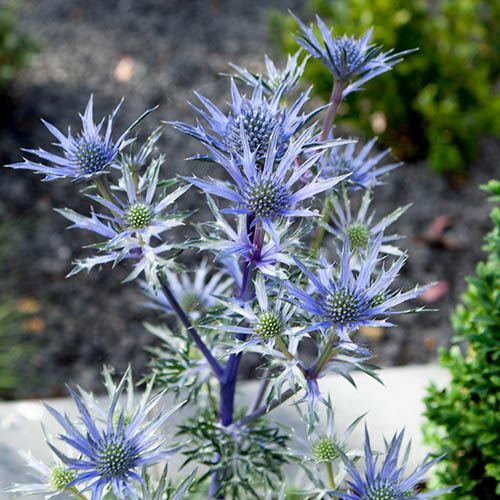 A totally unique British-bred, golden-leaved form of Eryngium or Sea Holly. The perfect plant for a warm sunny border where its jagged rosettes of foliage give height and contrasting structure. In summer the thistle-like blooms begin the same golden colour before changing to a lovely steely blue. Supplied as an established plant in 10.5cm pot. Supplied as an established plant in 10.5cm pot ready to plant out.